Apple Crumble Pie has a darker mustard-yellow base with gold shimmer and a matte finish with tiny brown micro glitter and gold glitters in different sizes. Shown is 2 coats with no top coat. I really love this color a lot more than I thought I would! I know a lot of people turn away from yellows in general, but the shimmer and the overall color of Apple Crumb really blows any other yellows out of the water! There was a slight problem with the larger glitters sinking, but Melissa has informed me she is fixing the problem and they were nothing a good shake didn't fix. ;) Otherwise it dried quickly and looks equally amazing with or without a top coat! 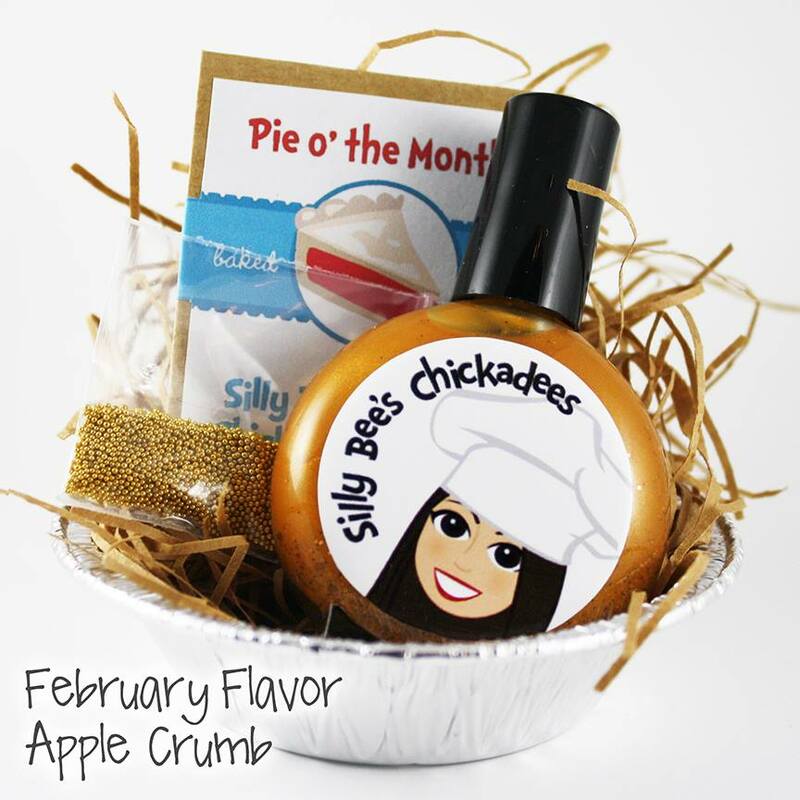 Apple Crumb will be available on February 15th through Silly Bee's Chickadees Etsy store. If you didn't sign up for a subscription to the Pie of the Month polishes, you will have another chance in March (for a 2-month subscription) or in July (for a 6-month subscription). Make sure to follow Silly Bee's Chickadees on Facebook, Pinterest and Instagram and follow her blog!